The final season of fan favorite Game of Thrones is set to air on 14 April on HBO. Viewers will soon find out the fate of ‘Jon Snow’, ‘Daenerys Targaryen’ and ‘Westeros’. The season’s two-minute preview depicts the final showdown between the living and dead, an uninjured ‘Arya Stark’ holding a dragonglass dagger, as well as ‘Daenerys’ and ‘Jon’ visiting ‘Drogon’ and ‘Rhaegal’. While fans wait patiently for the final season, an interview by LA Times’ Meredith Blake starts things on a lighthearted, hilarious note. The interview sees Blake testing the cast members of Game of Thrones to see if they truly know their trivia. More specifically, the stars are asked to spell ‘Daenerys Targaryen’. Jacob Anderson immediately declares, “Nope!” while Kristofer Hivju admits his defeat by letting out a sigh. The stars fumble to spell the name, with Anderson being the only person close to acing the quiz. Check out the clip below. 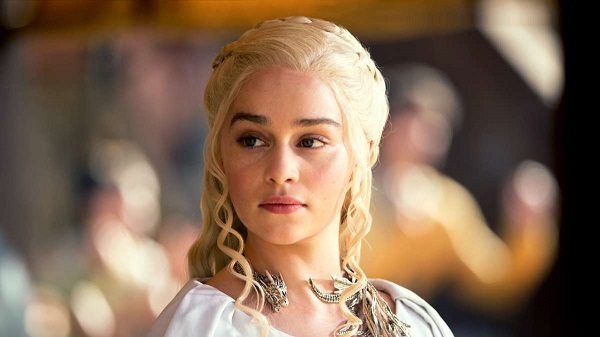 In related news, most fans—even the most loyal ones—have been mispronouncing ‘Khaleesi’ for the past seasons.